Deputy Chief Minister Manish Sisodia hailing it as "poor-friendly" budget. 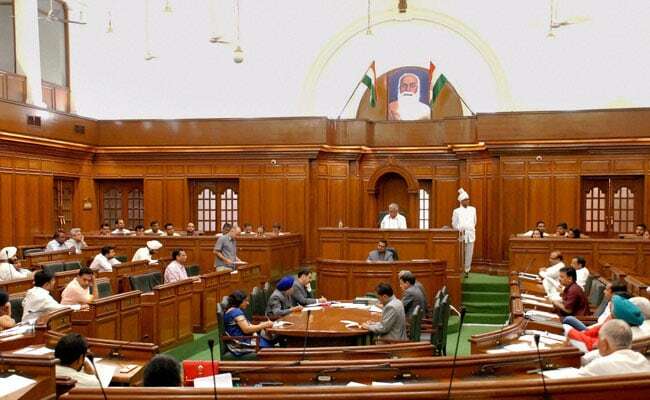 New Delhi: The Delhi Assembly today passed the Rs 46,600 crore budget for 2017-18 with Deputy Chief Minister Manish Sisodia hailing it as "poor-friendly". Prior to the passing of the Budget, there were an exchange of Urdu couplets between Mr Sisodia and Leader of Opposition Vijender Gupta during the Budget discussion. Critcising the AAP government for "false promises" on the last day of Assembly's Budget Session, Mr Gupta said, "Tu is tarah se mere sath bewafai kar ki tere baad mujhe koi bewafa na lage". Responding to the BJP leader's criticism, Mr Sisodia said, "Na Jaane kiski duaon ka faiz hai mujhpar, mai dubta hun aur dariya uchal deta hai". The Opposition leader raised questions on the "outcome" budget of the AAP government, saying that he was not able to locate the quantifiable output and outcome indicators in the budget documents. 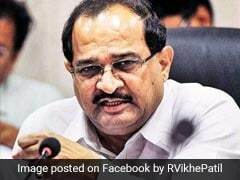 He said, "Government has failed in presenting a good budeget which doesn't have any base. Mohalla clinics have not been set up despite allocation of Rs 650 crore during the last two years." He also alleged that Wi-Fi has also found no space in the budget document, which was the key pre poll promise of AAP and similarly CCTV scheme has been neglected. "Last year there was a Swaraj Budget and this year there is an Outcome Budget. I haven't seen any outcome so far," he said. Replying to Mr Gupta's allegations, Mr Sisodia said that not everything is mentioned in the budget speech. "I would request Guptaji to read the budget. We have allocated funds for Wi-Fi and CCTV. Everything can't be included in the budget speech. Finance minister of other states have praised the budget and this budget will make the common man fearless," Mr Sisodia said in the assembly. He said that Gupta is misleading the public by quoting the wrong figures and is calculating figures on his own. Mr Sisodia said the AAP government has completely changed the definition of "development". "Earlier, development was just construction of roads, but according to us, the definition is to improve lives of people by introducing quality education in government schools, construction of hospitals," he said. In reference with the recent "Shamshan Ghat" remark of Prime Minister Narendra Modi, Sisodia said "Shamshan Ghat" is not development for us. He also said that by introducing "tax-free budget", we have made people "fearless". "Earlier people used to fear that government can impose tax on them in budget. But our government is making people brave by reducing tax on various items. They now don't have fear that this government will increase tax," the Deputy Chief Minister said. In the budget tabled in Delhi Assembly on March 8, no new tax was introduced or hike effected in existing tax rates by AAP government in its Rs 48,000-crore budget for 2017-18 which laid major focus on education, health care, transport and social sectors. The government has slashed VAT on Air Turbine Fuel from existing 25 per cent to one per cent for direct flights between Delhi and remote areas identified under the Centre's Regional Connectivity Scheme.